These terms and conditions shall apply to all insertion orders for advertisements submitted by the advertiser and accepted for online publication by the publisher [Littlegate Publishing]. All insertion orders are subjected to the publisher’s approval of the copy. The publisher reserves the right to exclude an advertisement at its sole discretion at any time, in which case the advertiser shall have no claim for damages or breach of contract. Acceptance of an advertisement for publication does not constitute endorsement or approval by the publisher of any product or service advertised. On email receipt of a signed booking form returned to Littlegate Publishing Ltd, the said company (Advertiser) will have agreed to our terms and conditions and entered into a legally binding contract with Littlegate Publishing Ltd. The advertiser has the right to cancel without penalties if 30 days notice is given, if the magazine is due to launch within 30 days then the whole invoice will remain due. The advertiser must submit materials by the given deadline. If materials are not received by the due date, the publisher reserves the right to use previously held copy or to compose generic advertising on behalf of the advertiser. Failure to submit advertising materials to the publisher shall not relieve the advertiser’s liability for the cost of the advertisement. Extra production work requiring artwork and/or film will be charged at cost. The publisher undertakes to exercise due care to avoid mistakes in published advertisements, but cannot accept liability for any errors or incorrect instructions on the part of third parties, agents or subcontractors. Claims that a published advertisement contains an error shall be considered only if the advertiser has previously submitted a finished advertisement and/or approved the proof, the published advertisement deviates from the submitted copy and/or approved proof, and notification of the error is received in writing within five days of the date of the invoice. The advertiser accepts full responsibility for all content submitted to the publisher including text, images, illustrations and advertisements and agrees to indemnify the publisher against all actions, costs, claims, proceedings, damage and liabilities whatsoever incurred by the publisher as a result of publication of any material supplied or approved by the advertiser. The publisher shall not be liable for any direct or indirect loss or damage suffered by the advertiser as a result of any act or omission of the publisher. The liability of the publisher in respect of any breach of its obligations under this contract shall be limited to the sum paid by the advertiser to the publisher in respect of the relevant order. Unless they cannot by law or statute be excluded, all express or implied conditions, warranties or representations related to the service provided by the publisher to the advertiser are hereby excluded. CONTRACT ADVERTISERS: If an advertiser cancels the balance of a contract (excluding covers or single insertion orders which cannot be cancelled) it relinquishes all rights to any to any series discount which may have been granted, and all and all advertisements published will be invoiced at the full rate. While every effort will be made to meet the wishes of the advertisers regarding positioning of advertising, no guarantee can be made unless the advertiser has agreed to pay a special position charge. The insertion order, the rate card and these terms and conditions constitute all the terms of the contract between the advertiser and the publisher. No agent or other representative of the publisher may vary the terms of the contract in any way unless first approved in writing and signed by the publisher. Payment is payable in full upon publication. Invoices are submitted and full settlement is due upon placement of the advertisement on the appropriate page of the Littlegate Publishing web site. Advertisers that fail to pay within five calendar days may be liable to a surcharge of 4% interest per month for each full month overdue. The Publishers reserves the right to add a late payment fee when it has been considered appropriate of USD$450.00 to cover administration costs. Advertisers shall reimburse the publisher for any costs and fees, including reasonable attorney’s fees, incurred by the publisher in enforcement of this contract and in collection of any sums due. EDITORIAL MENTIONS are offered as optional added value for certain advertisers. All efforts within reason will be made to ensure the advertiser has the opportunity to supply the actual words for the editorial mention. However, the publisher cannot be liable or held responsible for the advertiser not submitting the content for the editorial mention. The advertiser therefore has full responsibility to ensure the content is provided in the time set by the publisher, which will be determined by the publisher and notified in writing to the advertiser. The publisher retains the right to sub-edit the content with no proof if the word count is above what is agreed. The advertiser will accept all responsibility in paying the invoice irrespective of whether the advertiser provided the content. FEATURE COMPANY INVOLVEMENT AND LIABILITY TO CHANGES. While the publisher works closely with the feature company to complete an article of the highest standards and relevance, the final article appearance and text is ultimately the choice of the feature company as the main interviewee. As such the publisher does not accept any liability for final changes that have been chosen by the feature company. This includes changes to images or hyperlinks and/or alterations to text. We also reserve the right to use any logo sent in to us to use on related correspondents to ensure the article is seen as a joint venture. If a featured company wishes to open the article to their suppliers/sub-contractors an announcement email may be sent to inform them of the article. To ensure the very best exposure we may also send announcement emails to some of our relevant readers offering the opportunity to be involved. These terms and conditions shall apply to all companies featuring as the subject of an article within Endeavour magazine. The publisher will request interview information from said company, either oral or written, but does not guarantee that all or any of this information will be used in the final article. Final changes to the draft may be decided by the feature company, but the editor withholds the right to edit these in order to fit the appropriate language and tone of the publication. 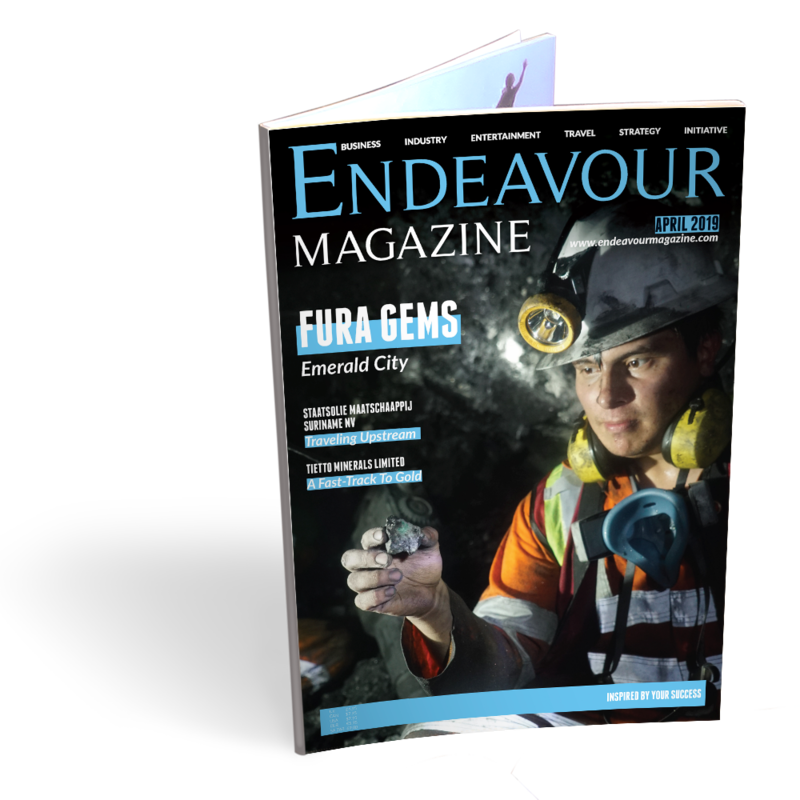 Upon receiving a list of supplier companies from the feature company, Endeavour magazine will begin work on the article. From this point onwards, the decision by the feature company to cancel their article will incur a fee of $3000 to cover the production and labour costs of the work done. Inclusion in Endeavour is subject to advertisements being purchased by the suppliers contacted. If no such sale takes place, the publisher does not guarantee the inclusion of the feature company within Endeavour magazine, unless the feature company opts to fund their own inclusion. As the publisher and owner of Gadgethead Magazine, Littlegate Publishing LTD has a no-return policy on gadgets/goods/material items sent in for review and furthermore reserves the right to give/sell-on items at our discretion.